Looking at a weekly Chart, Sycamore says the recovery from the December 2018 low (at 2316.75) and the subsequent close above 2625 in January this year were positive developments that suggest the September to December 2018 decline was a corrective a-b-c pullback rather than an impulsive move lower. 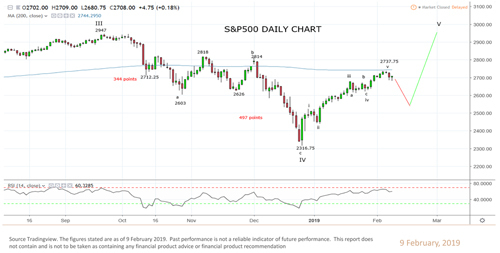 Shorter-term, however, Sycamore thinks the Index may be ready to correct to the 2600/2550 area, having traced out a 5-wave rally from the December low (see daily Chart). 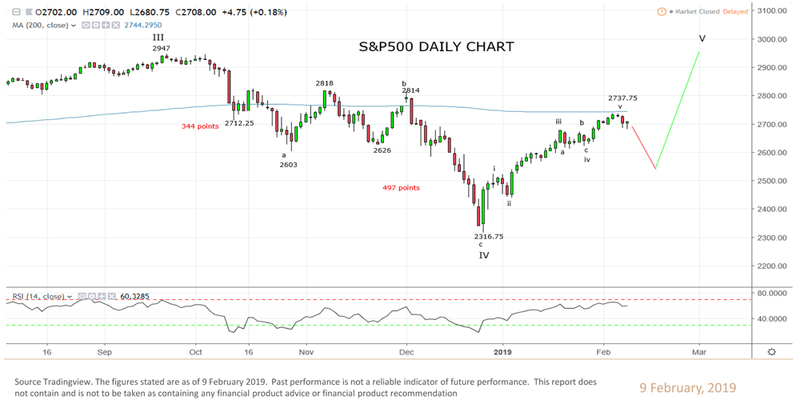 After the pullback, however, he expects a daily close above 2742 would pave the way for a test of the September 2018 high at 2947. 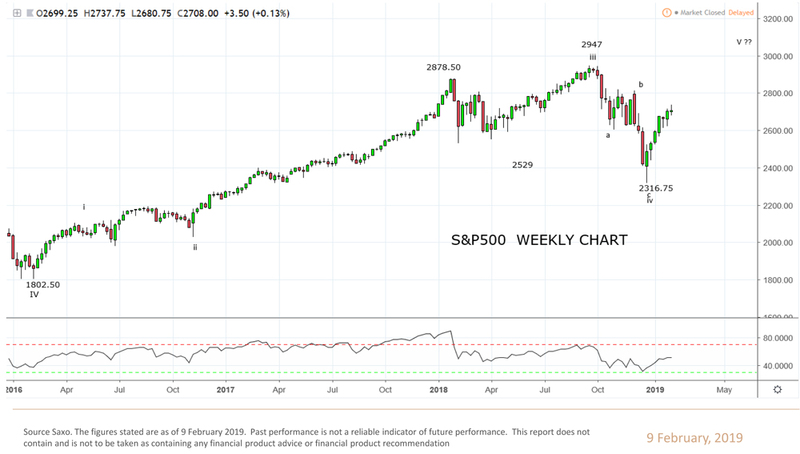 See Weekly Chart / Daily Chart.